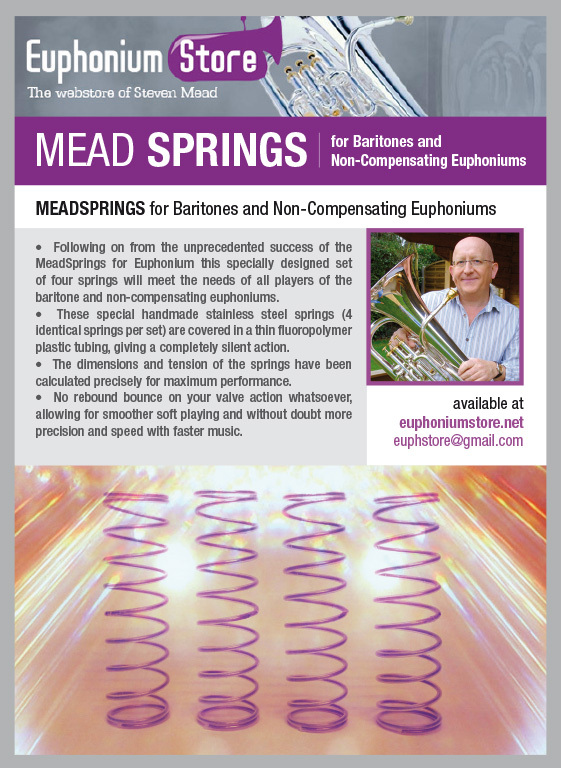 These superb handmade springs are perfect designed for the baritone and non-compensating euphoniums. Since their release 4 years ago, the reactions have been totally positive. These special handmade stainless steel springs (4 identical springs per set) are covered in a thin fluoro polymer plastic tubing, giving a completely silent action. 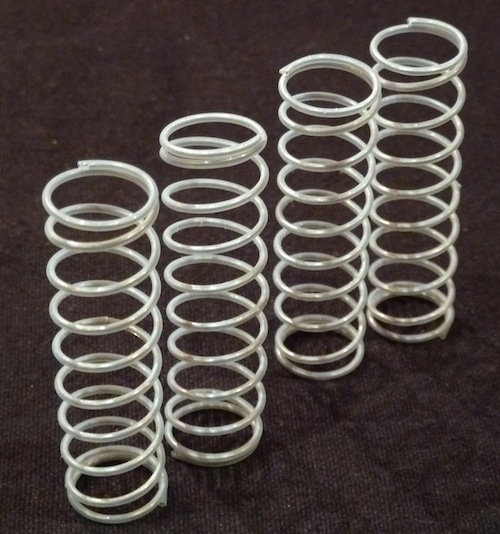 The dimensionals and tension of the springs have been calculated precisely for maximum performance. · No rebound bounce on your valve action whatsoever, allowing for smoother soft playing and without doubt more precision and speed with faster music. GUARANTEED BETTER THAN YOUR CURRENT BARITONE SPRINGS - OR YOUR MONEY BACK ! !